I have several tools to list over the next month or so, so please check back often or visit the Virginia Toolworks eBay page. Click on the header(s) to view each active listing. Very Rare and Very Fine! From my own collection I have listed for sale a very fine and rare Stanley Bailey No. 2C (Corrugated) Smooth Plane. This plane appears to be a Type 8 dating from 1899 to 1902. The iron is nearly full length with the Q trademark stamp. 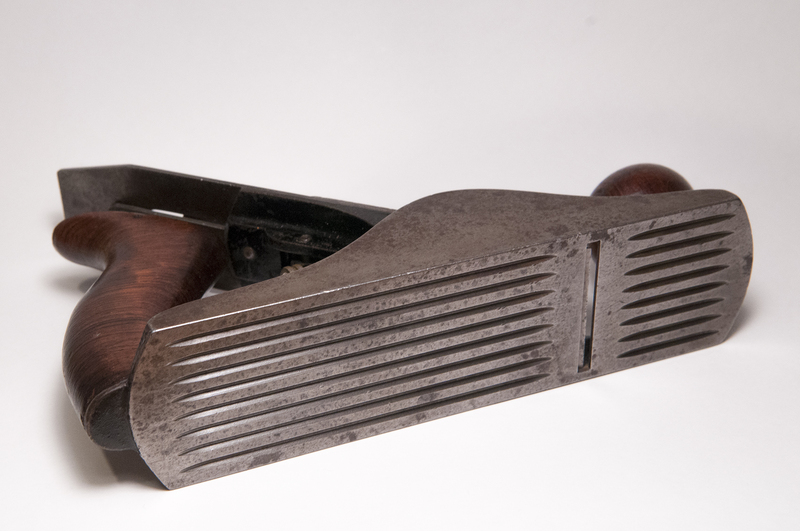 This plane has been in my own personal collection at Virginia Toolworks since 2008, and appears to be in exceptional original condition (meaning unrestored). As you probably know, the no. 2C is one of the rarest of all Stanley planes. This one is an excellent collector’s show plane and that is why I am asking a premium for it. Note that the shipping cost includes insurance, which is why it will appear high! The body casting is free of cracks, chips, and breaks. The cheeks, sole, and exposed metal surfaces have a very nice medium gray patina with some color mottling. The mouth is flawless. The plane bed has very close to 100% of the original japanning remaining, just a couple of minor abrasions to the rib behind the knob. All of the fastening and adjustment hardware are clean and free of crud and corrosion. The tote and knob are beautiful on this plane with no chips, cracks or breaks and very few scars. The tote is especially pristine with virtually no indication of wear. It is slightly loose, but can easily be tightened by grinding off a millimeter or so of the tote bolt (if you so choose). All knobs and adjustment features work perfectly. I have not done any cleaning or restoration since I’ve owned this plane. I don’t know its origin or if anything was done or replaced in the past, but it appears to be in original condition, complete with dusty inside corners. 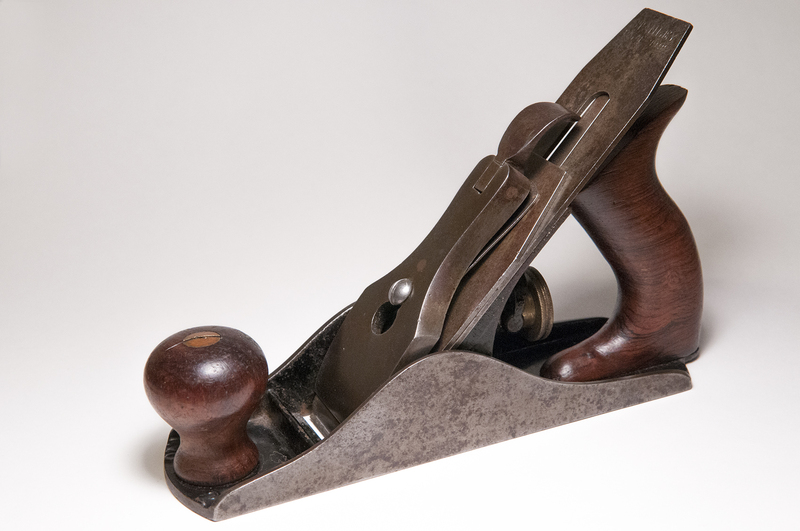 As with all vintage Stanley planes, this one is far superior in quality and workmanship to those sold today. Too valuable for the workshop, this beautiful plane would make an outstanding display highlight in any collection. Hello I have a Stanley No. 6 Type 7 from the late 1800’s era the sole is dead flat and is in awesome condition would you have any idea its value…Thanks. It’s completely dependent upon condition. I recommend checking recent completed sales on eBay to determine current market value.